I'm lazy about paintbrushes. I hate cleaning them out and I often will forget that I've left them in a compromising state for days. Often times, I don't even really notice how bad a paintbrush is until I need to use it again... it's a problem. 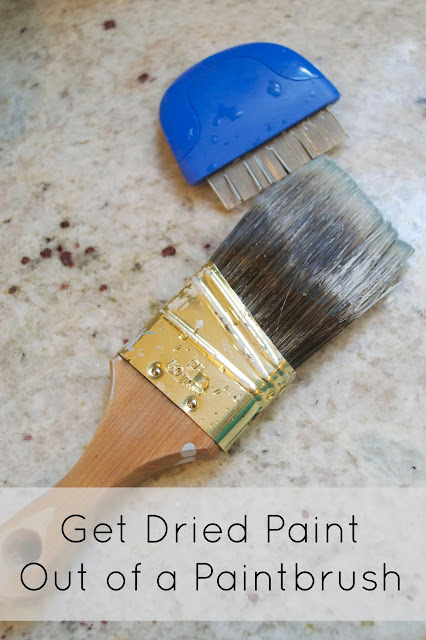 When I do need a brush, it's usually completely gunked up with dried paint. Since this can become a pretty pricy problem, I have figured out a pretty surefire way to revive my brushes. The first step is soaking. Leave the bristles in some hot water for about ten minutes and then use your fingers to break up any large clumps. This will get a lot of paint out but generally leaves tiny paint grossness behind on the bristles. This is what my paintbrush looked like after the first step. So here is the trick to getting a nice soft brush back. 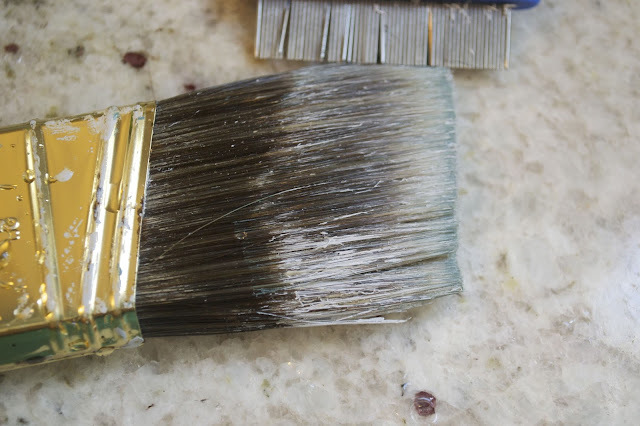 Take a cheap flea comb (like the one above) and comb the paintbrush from the ferrule (metal part) to the end of the bristles. Keep doing this around the outside and then spread the bristles out and repeat for the inner bristles. This takes just a couple of minutes and after a quick rinse, you have a usable paintbrush again. 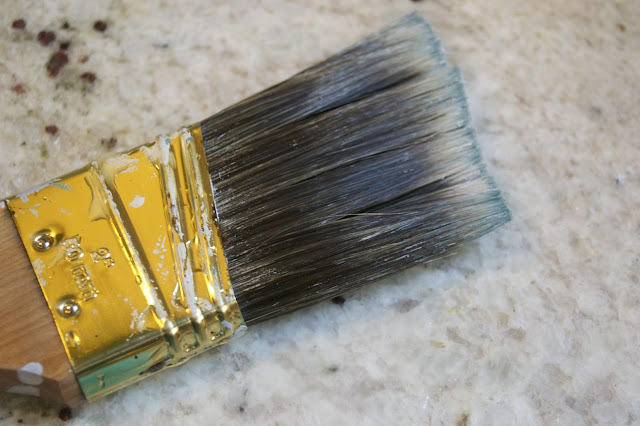 Granted, it is still easier to just clean a paintbrush right after using it, but this will save your brush if you are like me. This also works really well if you just have a stiff brush after it is cleaned and dried. So how about you? Is there a chore associated with DIY that you just hate doing? Thank you! I love this tip because no matter how careful you try to be...well sometimes it just happens! It sure does! I'm glad it was helpful. Great tip, thank you!! This is the number 1 chore I hate the most when it comes to painting on a project. I have thrown so many brushes out (and that can get spendy!) because I simply forgot to clean them in time, and then it seemed hopeless! Glad I found your blog. I am your newest follower. I hope you'll check mine out as well. Have a wonderful day! It's funny how we find what works for us. I use a steak knife (very gently) to clean the bristles up by the ferrule because it seems what is where my paint collects. great tips Cassandra! 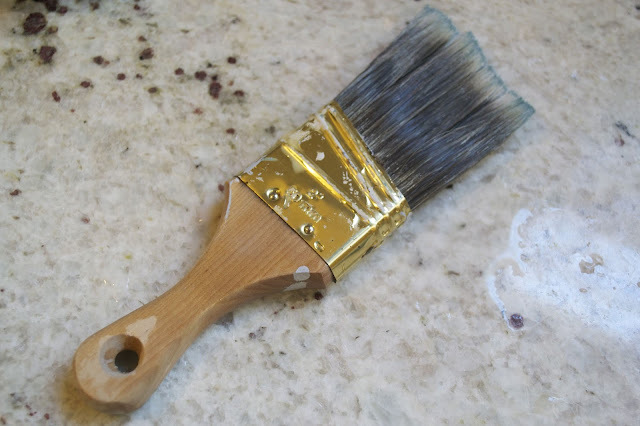 take care of those Purdy paint brushes!